Basically what I got out of this and also some other threads as of late is what is important to one player may be trivial to another. Personally, I don't care about undead war bears or the zombie costume, I just wanted to point out how amusing it is to harp in one item gained during a promo while ignoring others. Because it is the same thing.. someone riding an undead mount might actually be less of a problem than someone going out willfully and knowingly raising undead by killing. Btw, there is a hunting area full of zealots. But it's a newbie area. Trolling people with PK is the RP equivalent of a fart joke: An Essay. Look, the people who make the biggest impact and difference in the game are the PKers. You've paid/coded your way into this position of authority, and it is an authority that everybody in the game respects because mechanics exist first and foremost for this purpose. Instigating people for the purpose of getting PK cause is lame. Killing people's pets is lame. Making people so angry they call you toxic and griefers is lame - as is letting yourself get so twisted up that you poison your own view of the game by calling people toxic and griefers. Aggravating the divide between PKers and non-comms because you can is the biggest obstacle to roleplay in this game. Most of that power lies with the PKers, short of telling people to sit down be humble if some big bad begins pushing their buttons, or trying to soften this hard-stance namecalling, issuing and raging that just vindicates this sort of behavior. Don't make it so fun to harass you, in other words. That's gradeschool stuff. Dyron and Iniar are examples of the kind of PKer we need more of. People who are in character just enough to recognize and acknowledge the thin line between righteous vengeance and just being a troll. That thin line is also very special, because a PKer who has an engaging character, or even just a functionally approachable one, has a lot of authority. If non-comms feel they can talk to and interact with you without worrying that one misspoken word will end in their city being raided and you being pursued actively for PK cause indefinitely, they'll be happier. They'll interact with you more meaningfully. They'll be less angry when they die and they will more eloquently respect your effing *character's strength* instead of just seeing *you as a bully*. And IME if done right, you've made yourself an enemy who respects you enough to find opposing you with the expectation of losing worth their time. It is suuuuch a small difference but that nuance is the biggest thing I've seen make conflict fun for everyone: make avoiding it less engaging and less satisfying than participating on the PvP level. Make interactions options, not threats. Give people an out. And I'm not pointing fingers at anyone in particular, though if you think this post is about you, it is. Also, metagaming is the worst. Role-players get close and then start that spy crap intentionally or not, and stirring up OOC trouble where it doesn't need to be is completely ridiculous and has pissed me off more than most things in this game have. Personally, I go out of my way not to just chat OOC to people I roleplay with because of how easy it is to shoot a text message saying "I have something to tell you" while I'm out in my life instead of an ominous message received without warning insaying "I have something to tell you." That's personal stuff, and we can't all be awesome like me, but when it gets so casual that it ascends to the point where you are sharing other people's conversations in realtime, that's effing stupid and easily one of the worst things for Imperian. Edit: I prefer counting days during vacations and talking vaguely in months and seasons. Or logging on to be pleasantly surprised that my rp friend is there (if thats possible). Or reading about things on the logs and learning about things that happened while I was away like they actually happened when I was gone or something. Or just saying 'i feel crappy' in character without having to articulate why. Etc. It's my opinion that if you're a good PKer, you're not just good at fighting - You're consistent in your characters roleplay and behaviour so that others can interact with them in a way that suits them without worrying it's going to immediately become a matter of violence. To me, this is roleplay - Playing a character who has distinct opinions on IC things, who adjusts those opinions based on what happens and who behaves in a way that is consistent. In game events that add to the lore or bring older parts of it to the fore are what most encourages me to roleplay. Even things as small as conversation trees on new NPCs (Like the nightingales!) can be inspiring in this regard. If you refuse to roleplay and you're just hunting for reasons to fight, then you're doing more harm than good. You end up widening the divide between roleplayers and PKers and it's simply not fun for most characters to interact with you, so they don't. To then try and push this attitude - That you should be free to PK without needing to engage in any roleplay or attempts to stay IC - just makes things worse. It's also bound to ruin the game for people who try to stay IC, when you walk into a room and immediately trample all over immersion by bringing up OOC stuff in says or on channels. It's worth noting that HELP OOC is a thing, and it's not just shouts and the like that we should try to stay IC on. Any public channel or around anyone who tries to stay IC, please, stay IC. For the record, I consider imposing rules restricting dumb stuff like what mounts you can have to be in the same vein of behavior. Whether or not that's the cited reason for leaving, being nitpicky about that sort of thing does push people away. The thing with undead pets and zombies is that there's so much IC precedent for them being dangerous, there's so much history built up around them in game that it's strange for most characters to tolerate them. Just because you know it's not harmful mechanically (yet) doesn't mean the IC danger isn't there. You say being nitpicky about pets and that sort of thing pushes people away, but so does disregarding more than a decade of roleplay and lore just because people want a certain pet, buff, costume etc. If you want to play with undead things, fine - just don't get upset when characters with good reason to react badly do so. Changing gears here: Gods, atheism and theology. Been trying to make sense of it all, as far as i can tell, there's those who still hold onto the dead gods (whether that's IC or OOC i don't know), those who demand a new divine thing to worship (which i guess is what sects were supposed to be but that seems to have not been so good), and then there's me and atheism (and maybe some others i don't know about). Dimitri's atheist, since he was born a couple centuries after the death of the gods it made sense for me to have him just not be aware of the gods in anyway beyond this old story that just doesn't seem relevant to him. He's tried to wrap his head around it, read the books in the library, he's even voiced holding onto the old faith makes no sense. Has he gotten flak for it? Yeah, whenever i let his atheist flag fly. I'm not really backing down on the matter it's more Dim thinks he's in a minority. Probably is. I tried to put Dim as a Templar, even used the devotion skill for a bit. Made Dim all uncomfortable with it, liked the results but he had questions about it all, like 'why is this power still working?' 'why does it work for -me- specifically, someone who's spoken aloud his disbelief in the gods'. Dim was in the sect of storms for a bit cause entities weren't gods, or so he was told, and I was still faffing around with his belief system. After that blew up, i decided he was going to be atheist. I started playing imperian the literal month before the Gods were crushed. That was at least 5 years ago. I understand your 'decade of precedence', but I can say firsthand that the time between the Gods dying and now, there has been a lack of support or endorsement of this lore. I take umbrage at people still complaining about Gods' existence in a 'bring em back' type of way, because people fail to realize that roleplay is in the past, and instead of committing effort into creating new avenues of roleplay and conflict, we are clinging to 'old gods' and 'old conflicts'. That is the issue with guilds, too, and I say that as somebody who tried and succeeded at, if not reviving the guild, making it active for as long as I was putting in the effort. For Galt the character I understand 100% where he's coming from, because he's waking as a person who lived those things. Most characters walking around haven't, and most of those who were don't care, and all of these characters would benefit from a new meta. ESPECIALLY when you are imposing these rules on characters who will have no idea about any of the undead precedence from an RP standpoint, and especially when we are being nitpicky and pushing people away when trying to revive aspects of roleplay that haven't been acknowledged in in-game decades if not centuries. The admin hasn't supported the idea that Kinsarmar is anti-demon-associated with things, maybe? But it's definitely still there and embedded in Kinsarmar and Kinsarmarian culture. Gods are dead, themes are not. 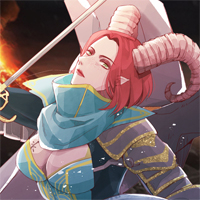 If tickling a demon would somehow make me better/stronger/prettier/whatever and not affect my magician capabilities, I'd totally do it, kinsarmarian or not. That's not really a break from my RP, whether it may offend someone else's or not. Then go be a demoner. That's literally what that theme is. The theme of Kinsarmar/magick in general is that there are limits you don't cross because the dangers are too high. And AM's theme is that all magick is the start of a slippery slope. Whoa, I said I'd flirt with it, not cross where I believe the limit to be. Edit: I'd hump a priest too for all the same reasons. They'd likely cancel out anyway. Imperian's conflict is built on the slippery slope mindset. The game feels really, really close to moving completely beyond the sort of culture where players automatically dismiss/freak out about things based purely on a "skin" that is (at least historically speaking) thematically off-color in some way, unless the item itself really is Kryptonite (and even then, sometimes that leads to interesting things). It's not really that hard to make RP-palatable, and never should have been. Spoils of war that don't kill us make us stronger is the easiest explanation. On a similar/related note, our characters regularly kill the biggest undead bosses in the game because "all of these undead are annoying", and then we close Death's Door by shoving their undead boss corpses under the doorjam like one of those cutesy draft stoppers Nana uses. Adventurers are kind of baddasses, and there is a certain amount of confidence, and maybe even a little hubris, that should easily come with that kind of power. That and the fact that every time we do die, we just casually sketch a new starburst and go back topside. Point I think @Cassius is making is, he and Owyn are the types to do that. They both do what they do and accept the consequences of doing them. The problem is when you say "themes blah blah" is that you're trying to force everyone to put their characters in this small niche. It simply doesn't happen that way. Let me use Owyn as an example. Owyn is from Antioch. Antioch was a really, really cool place to be. Raiding wasn't around anymore because it was functionally useless to raid (guards were free, etc.) Antioch at the time was the only completely "gates open" city -- open to any and everyone. What did Owyn do? He went around preaching that as the gospel. He worked pretty hard to talk to city leaders and convince them that everyone opening their gates and leaving battlefield business on the battlefield was the best course of action. Every place except for Ithaqua adopted this attitude for a time even, although it did take me delivering flowers to Rei while intentionally dying to guards in the process to prove a point. Cue the return of raids, new and improved with objectives. Well, by this time Owyn is still an Antiochian combatant, but he's also now married to Alvetta, Duchess of Kinsarmar. Why didn't Antioch throw him out? Because he killed his wife (: 3) pretty much every day, or she killed him, and then that laughed about it. That's why. But wait! Now raids are a thing. Owyn could tell that the world was about to change again. People would close their gates again, etc. to combatants. So with this knowledge combined with the fact that at the time AM was roflstomping EVERYONE into the ground he went magick, and some friends went with him. The point of this story is Owyn isn't a zealot -- not for magick or against it or demons either. He's just a guy living his life, as much on his own terms as he possibly can. There is zero roleplay reason for him to care about what mount you have, etc. The world as it was is not as it is. His whole life in Antioch it wasn't 'thematic' either. Antioch were just trying to be the game's bad guys. I like being a bad guy; Owyn pretty much still is a bad guy. @Krysaliss side note: If Dregaur did even 1/10th the stuff he did back in the day, people would be raging and up in arms so hard they'd be leaving in droves. You're talking about a dude that would team-gank people and then spend a couple hours methodically rifling through their possessions and stealing all of it. One thing I was thinking about (that people have brought up before) that still needs to be addressed somehow is Charon vs. Legion. Every player in every faction of the game does quite literally owe Charon their life every time Charon rezzes us, so when there are conflicts against Legion, it really does take a faction that is willing to say "ugh, if we are all on the same side this will be AWFUL". The best I can personally do with Charon is that he is a Daedelus-like guy who is "good", but is really more interested in the world for its own sake and just sort of does things for his own reasons (a la Joseph Campbell's discussion of him in The Hero with a Thousand Faces), which does sort of work? But not really. And of course he did also just promise to do it, but the reason he promised to do it was literally to defeat Legion. So it's just awfully hard to actually justify siding with Legion, even for a cartoon evil char. We just did it because people decided it was WAY more fun (it was). Even for characters who sort of "take the in-game world as it actually is", it's hard to contort into a rational storyline, even for cocky semi-immortal beings (i.e. us). Was there any "miss" from that? But yes, always more RP. Naw, Rok. It was the last message on the CT when I logged in the first time since Larkin and Co. incident. We definitely need to be more mindful of not breaching the IC/OOC barrier. It is difficult, though! For starters...let's refer to DAILYCREDITS as errands when talking in-game, eh? "Back soon; gonna do the stuff that makes the magic sparkles fall from the sky!" Meanwhile both AM orgs are doing their best to throw away a lot of the very basis of their existence (hint: it's in the name) and people look at Hava like she's the crazy person for sticking to it. The 'anti' prefix clearly means you welcome whatever comes after it. Anti-immigrant? Someone who loves immigrants! Antidepressant? Something you take if you love depression! Clearly you are the crazy one, for not wanting Anti-Magick to like Magick. Being serious, though... I will say I'm all for people wanting to go new forms of RP, including breaking free of the previously admin-enforced roles in the game which people very clearly didn't agree with in the first place. Just like I'd expect people to challenge that breaking, rather than just saying, "Yeah, okay let's do that." -- The current alliance obviously aren't working, and haven't for a long time. Let people make their own, rather than forcing a narrative that just doesn't work. We've had years of spinning our wheels in exactly this fashion, of people wanting to reinvent themselves, their organizations, and their associations, and if there's anything it's made me appreciate, it's that when you give the people all the options, then everyone goes off in their own, separate directions, and nothing gets done. 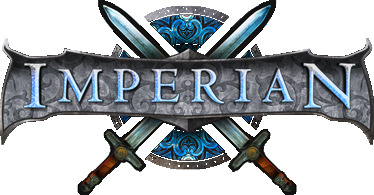 The death of Gods was the death of cohesive organizational roleplay in Imperian and I challenge anyone to prove me wrong. Just because you don't agree with it doesn't mean that there aren't IC justifications for what's going on, at least in Ithaqua. It's not like we woke up one day and thought, "Y'know what? We're going to toss everything away for the lulz." Reducing an org's RP to a label is a good way to create hollow and uninteresting RP, though. Thing 1: "But is it antimagick enough?" Thing 2: "I... I don't see how that's relevant to this conversation." Thing 1: "I don't think it's within our alignment's purview, is all." Thing 2: "I'm asking if we should get three-item-combo A or B. I'm hungry." Between the death of the gods (which seems to have been a V8 engine in the driving force of antimagick as a whole for some), and then antimagick getting access to classes that were previously magick specific through class neutrality movements (which was done for the sake of game balance, and probably some needed variety, I think), the line between magick and antimagick is getting kind of blurry. So, naturally people are going to find another way to invent a common enemy, or the concept of 'Them' won't hold any weight any more and you lose a basic driving force to a cause and your narrative. Does it make any sense? No. But then it doesn't have to at the start. Pretty much this. People's desires change; if half of your circle doesn't like the other half, and would rather play with 'enemies' that seems like something you should try and fix. Rather than try to berate them from branching out, and going to play with people they enjoy being with. Before you can say, "Maybe they should leave the circle, then." you should consider that if the entire city isn't enjoying you, they technically are moving from the circle. Just not mechanically, because that's literally impossible unless admin lift those restrictions (they really should, they aren't helping anyone at this point).